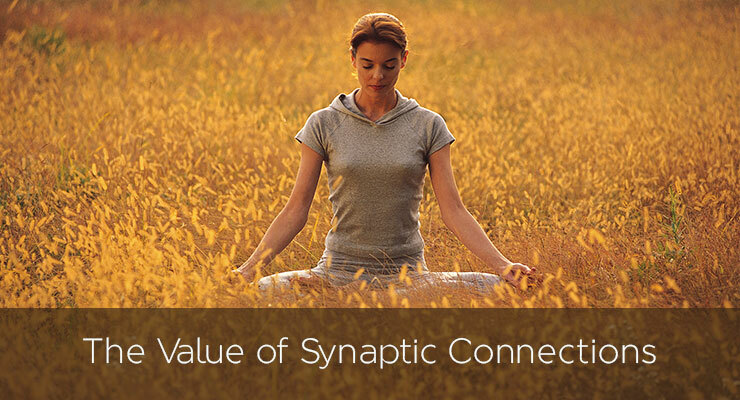 I once went to a parenting workshop where we were taught about the value of synaptic connections. What that essentially means is that whenever a child goes through what it perceives as a threatening situation, and is then convinced or assured by a parent or someone else that everything is all right and she is safe, she develops a valuable synaptic connection, which in turn helps the child to grow into a secure adult. I suspect these early synaptic connections have a lot to do with what we perceive as a threat and what our bodies react negatively to. When we first made a decision to move back to India from Singapore, I remember being overcome with fear about how we would live there. We were going to have to take everything we had created in the last seven years and move to a new city. My body was feeling the fear of the unknown. I noticed my belly starting to get queasy. Every few hours the weird feeling would come back. Then one of the times, I finally put my hand on my belly and affirmed that I was safe and protected and that our move would be smooth and fruitful for us. And just like that, the queasiness started to dissipate. I felt better within minutes! The other way that fears affect us is when they’re masked as confusion. Have you heard yourself ever saying, I don’t know what to eat! I am so confused! This is one way we delay our decisions and avoid taking control of our health! We seem to tell ourselves that we don’t really know what’s best for us, we are too confused to make the right decision about what to do for weight loss! I realized that this confusion is often times a way to mask our fears. These are our fears of moving out of our comfort zones of the weight problems we’ve been experiencing for a long time. And our fears of becoming really responsible for what is happening within our bodies. Very often, what’s hidden underneath all of these is our fear of having to actually access our own power that lies within us. The truth is that by tuning in to our bodies and accessing our emotions, we can find a way to end confusion! She talks about how this question immediately cuts through our fogginess and illuminates the struggles and difficulties we face. Our confusion lifts, our real feelings come forward, our focus and grounding come back and we become able to think coherently again. For example, there was a time I was confused about all the different projects I had in front of me. I couldn’t decide which one to choose first because they all looked so good! When I asked myself what my intention was, I found that I wanted to make an impact and affect people’s health and lives positively. Then I realized the reason I was confused was because I felt like I would lose out on something by choosing one area to focus on. By connecting with my body’s wisdom and acknowledging my deepest desires of impacting the health of hundreds of thousands of people I let myself choose the one or two projects that aligned most with them. And that really made my whole being sing! Is Cortisol Affecting Your Life? Try Yoga. 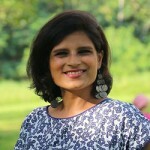 Megha Mehta is an energy medicine practitioner and health coach who loves to marry intuition with information to make our lives more meaningful and spiritually connected. She believes in creating a freedom lifestyle by writing and coaching while she’s in gardens, coffee shops and occasionally in her own home. Read her book “Find Your Rhythm” if you’d like to make perfect wellness simple and achievable without having to spend hours on dong the latest nutrition, diet or exercise research. Email her at megha@thebalancemantra.com. What is the Keto Diet – and What Isn’t It? All editorial matter in Cali Diet, California Healthy Living Magazine represents the opinions of the authors of each article and not necessarily those of the owners of this site. All information on Cali Diet, California Healthy Living Magazine is provided for informational purposes only and is not intended as a substitute for the advice provided by your physician or other healthcare professional. You should not use the information Cali Diet, California Healthy Living Magazine for diagnosing or treating a health problem or disease, or prescribing any medication or other treatment.